This is Part 2 of my client’s story, as overlays made such as difference to his reading, he was back within 2 weeks to explore how Irlen colored lenses could ‘calm’ his brain even further and what improvements he would then experience. My client is 33 years old and was hit by a car when he was a child, putting him in a coma. Since then he has experienced constant headaches/pressure in his head, as well as an effect called ‘visual snow’ which is like watching a TV that is not tuned in, he described it as thousands of white and yellow dots flickering everywhere he looked. 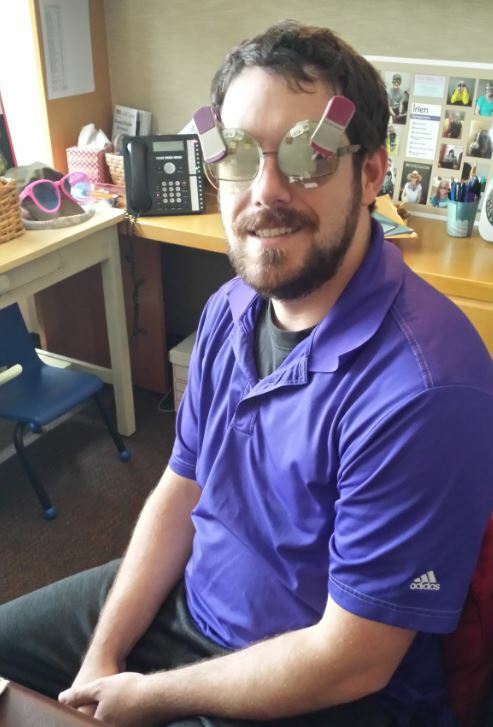 My client joked that if I wasn’t careful he would take the test lenses with him as he was so excited about this new world ….he couldn’t wait to wear the color as glasses, and I can’t wait for him to let me know further improvements he notices when wearing them!